It has been three decades since the first home video game systems started to appear on store shelves and in living rooms. 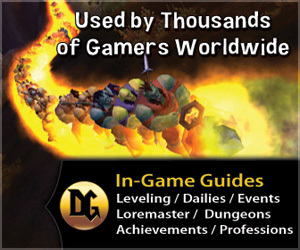 In the passing years those games have become increasingly more sophisticated. Long gone are the rough hewn square graphics and the clumsy sound modulation that many of us remember fondly. In their place are sound and graphics that can imitate life, and games that move quickly and perform much like reality. Up until now, the realistic game performances were reserved for the action on the screen, but with the introduction of the Nintendo Wii, the action has leapt into our living rooms as we become part of the Nintendo Wii game experience. The Nintendo Wii lets us become part of the game in a way never before seen. 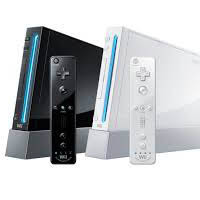 Instead of the joystick and buttons that have been a staple of video game play since the days of Atari, the Nintendo Wii uses infrared technology to communicate with a wireless remote control, and it is the remote control of the Nintendo Wii that separates it from the pack. 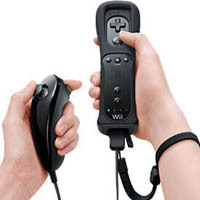 The Nintendo Wii remote – known officially as Wiimote – is a wireless, handheld, remote control that features conventional buttons and one unconventional and revolutionary feature; it senses movement. The Wiimote has the capability of sensing its position in three dimensional space. This allows the player to interact with the Nintendo Wii in a way that no other game system allows. Move your arm up and the character in the game moves up. Rotate your hand and the same happens in the game. The Nintendo Wii makes you part of the action. Now you can move, jump, swing, and act along with the game characters as if you were one of them. 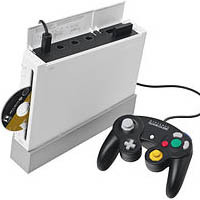 The Nintendo Wii also has the capability of traditional game play as well. Different controllers can be plugged into the Wiimote, and that allows you to sit down and play games the way you are probably used to playing them, with buttons and joystick. The Wiimote can also be adapted for use with the Wii Zapper – a soon to be released gun-like shell that houses the Wiimote and allows it to be used like a handgun. Or how about the Wii Steering Wheel; a self explanatory device that is perfect with driving games like Monster 4×4 World Circuit. 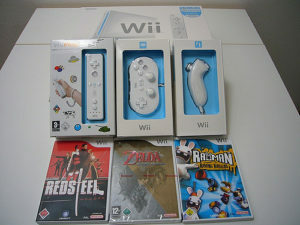 What we are seeing with the Nintendo Wii is just the tip of the iceberg. In the short time since its release it has taken the gaming world by storm, and it is likely that the innovation will continue to come at a fast and furious pace. The Nintendo Wii platform is truly a technological innovation that will change the way we play games forever.